Internet access is core to many businesses and mobile broadband a critical element of any real time mobile system. Access to a mobile network signal allows our clients to conduct business on the move, planning, sharing and progressing every aspect of their operations with every business relationship supported by quality mobile broadband. 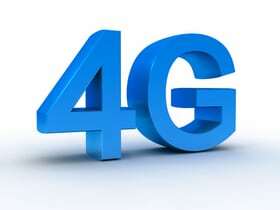 4G (fourth generation) is the latest in communications technology following 3G and is the platform on which mobile devices It stands for 'fourth generation', and it’s the successor to 3G, which is what mobile phones access the internet and send/receive data. 4G Technology comes with an increase in speed (approximately 12-15 Mbps) making it infinitely faster than 3g, making remote internet use a more reliable mobile solution; the internet is faster, your calls clearer and downloads quicker. This Technology is quickly replacing 3G as the predominant mobile communication solution in the UK. Additional services such as MS Office 365 can be quickly and easily integrated with 4G and the user experience is improving with the faster internet speeds provided by 4G.